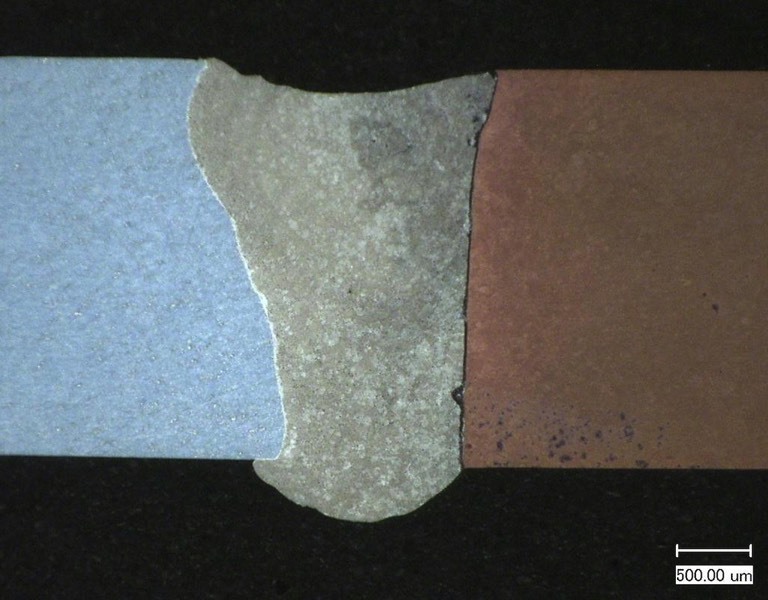 For the application shown below different electron beam specific processes were used. To weld the material combination nickel base alloy and carbon steel, a so called Black and White Joint (BWJ) was used. It requires an exact positioning and high cooling rates to avoid hot cracks. Additionally the distortion should be reduced to a minimum. 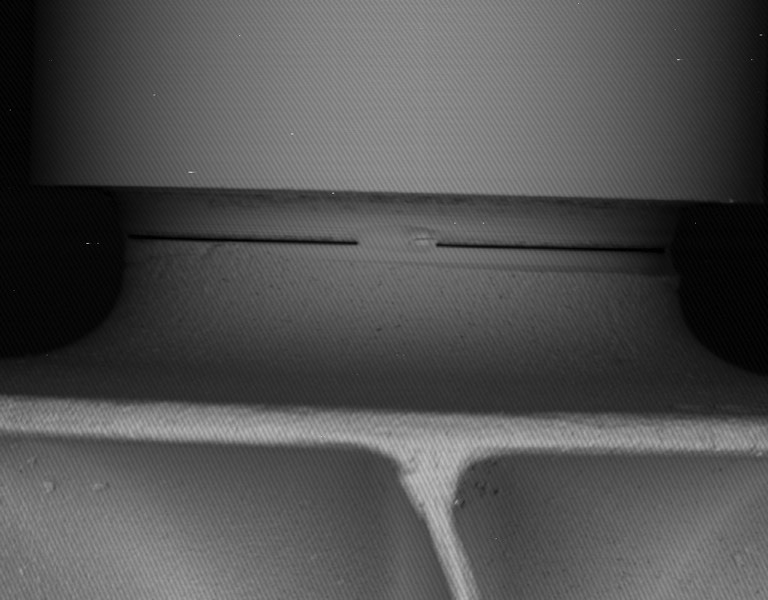 The exact positioning of the beam can be realized with an accurate SEM view. To avoid the distortion and minimize reconditioning four spot welds were applied. After the welding process the results can be observed. 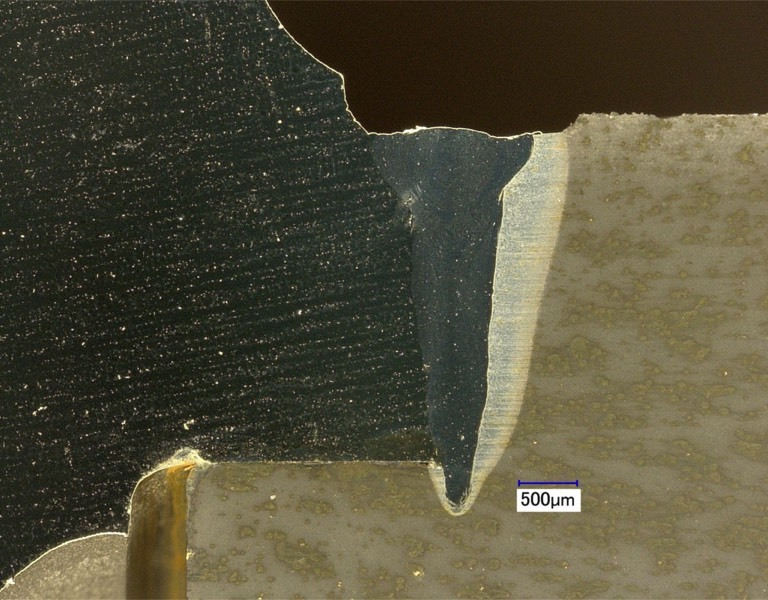 If necessary a so called cosmetic weld can be applied to smoothen the surface even more. To increase the hardness of the bearing seats electron beam hardening was used. 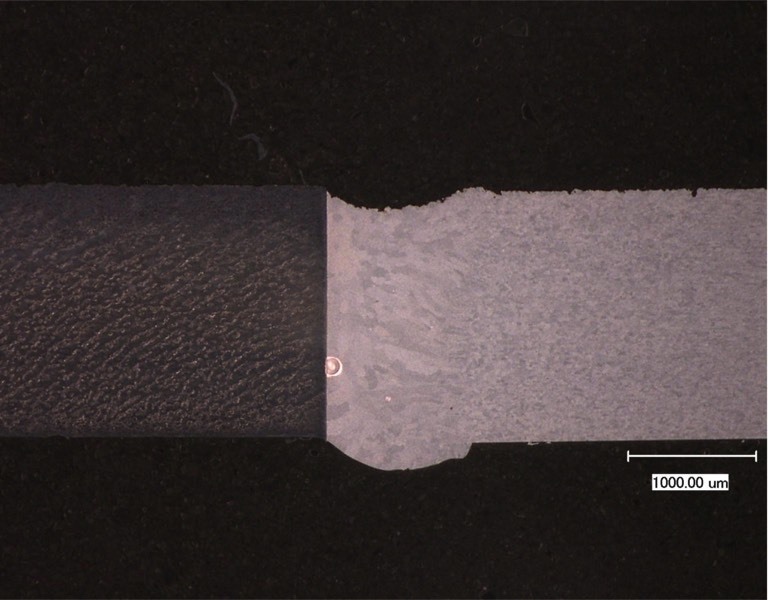 With this technique the surface can be hardened up to 1600 HV0.1 depending on the used material. The result is a defect- and distortion-free dissimilar weld. 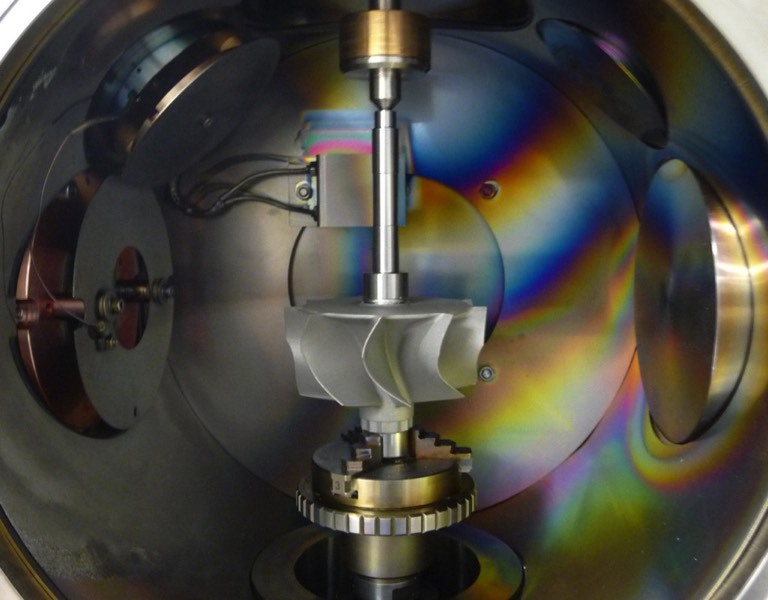 Electron Beam Welding is one of the widely used processes in industries for joining dissimilar materials. 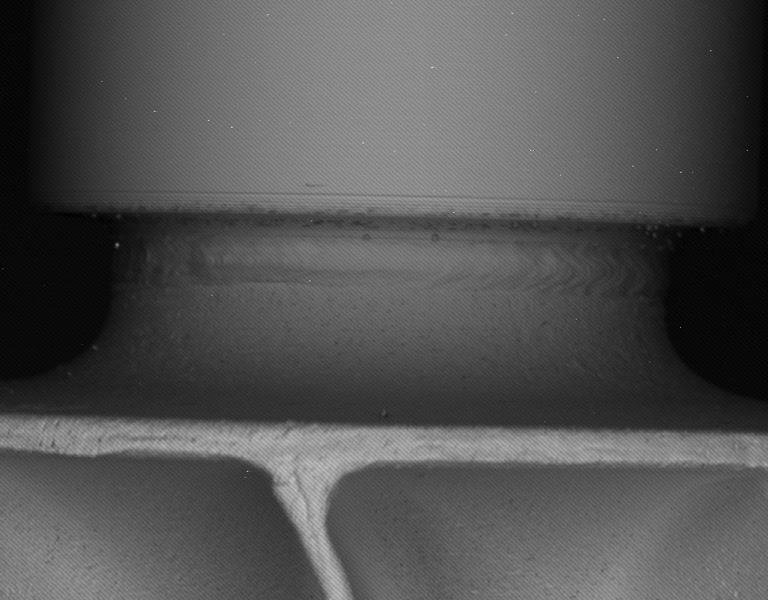 Due to the very fine beam and the ability of an exact beam positioning using the SEM mode, the composition of the melt can be controlled. This avoids incomplete side wall fusion and an uncontrolled growth of inter metallic phases which would lead to cracks. In the pictures below some examples of dissimilar welds are shown: aluminum to copper, aluminum to steel and nickel-base-alloy to carbon steel.